In return for Norwegian Cosmic genius Lindstrøm reMixing here current single, You (Ha Ha Ha), ElectroPop princess Charli XCX has teamed up with Twin Idol to drop a radical reworking of Lindstrøm’s Fāār-I-Kāāl. And when we say ‘radical reworking’, we really mean it, Fāār-I-Kāāl, is I’m sure you remember is a bright, optimistic slab of funky galactic Disco. This is a bass heavy ElectroPop haze. So what we have here is an R&B flavoured Bass track with and ElectroPop vibe. Charli lays down some vocals which the original track was missing and wraps the track in swirls of hazy synths and chimes. Big warping bass sounds jostle for space with haunting melodies as Charli and Twin Idol create a mood both of mystery and for dancing. Let’s face it, it’s pretty much a different song, but a pretty compelling one though. You may have seen us get a little giddy about this tune last week on Google+ and Twitter. It’s out girl Charli XCX’s new single, You (Ha Ha Ha), reMixed my the space Disco man of the moment Lindstrøm. Alongside the Goldroom reMix, this is the one we were most excited about, and it doesn’t disappoint. A little more stripped down and Housey than maybe we are used to from Lindstrøm, the track nevertheless retains all the Norwegian’s Cosmic Disco charm. Sparse and Groove, with an almost Dubby swing to it, Lindstrøm’s remix creates a woozy electronic mood into which he drops in and out swirling synths and warping bass sounds. How he manages to get so ecclectic with his pallet and still keep the vibe fun and funky I have no idea, but he pulls it off. 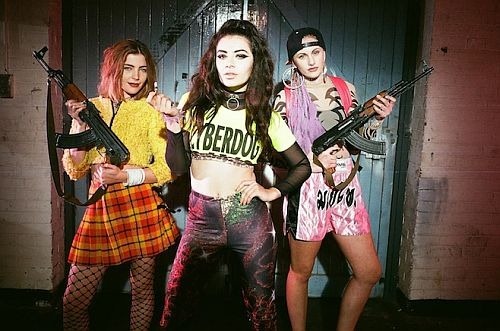 Add to this Charli’s top vocal and you’ve got a track that lives up to the hype. You (Ha Ha Ha) is released 3rd February. 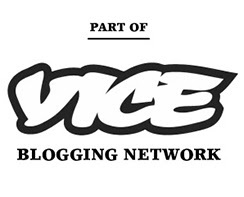 Well, it was probably only a matter of time. 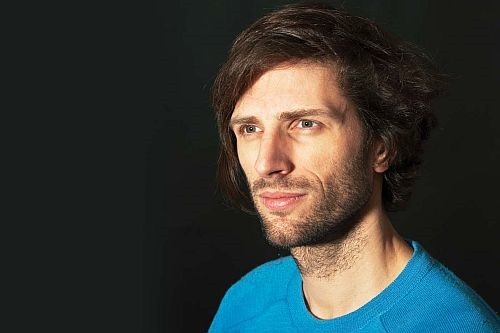 After the kind of hype that Norwegian cosmic Disco legend Lindstrøm received toward the end of 2012, we knew sooner or later the cool Pitchfork crown would come knocking on his door. 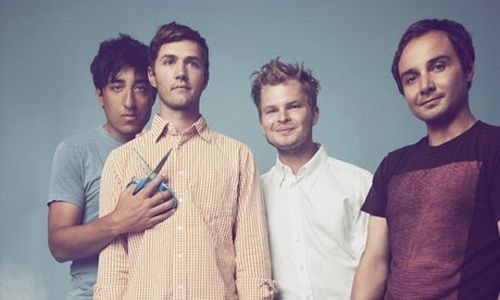 Oh look, here’s a Lindstrøm reMix of the new Grizzly Bear single, Gun Shy. That was quick. It’s actually a pretty amazing track. 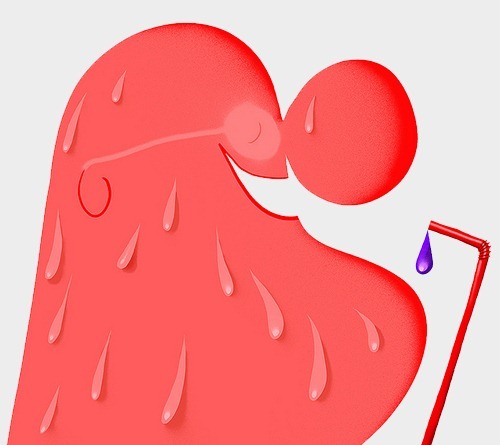 It’s hypnotic space-age Disco track with all the tundral charm that we love Lindstrøm for. The mans knack for making icy, piercing synths feel warm and comforting is second to none, and he really knows how to rock an infectious hook. This has the potential to be one of the biggest tracks of the summer, expect to hear this a lot on your local indie dancefloor. Indie flavoured Cosmic Disco at it’s finest. Well, this was bound to set the internet alight. Unless you’ve been living under a rock this week, you’ll already be aware of the new single from two of the standout producers of 2012. Lindstrøm and Todd Terje both owned last year when it comes to quirky, spacey Disco, and now the two Norwegians are together as one. Lanzarote is the name of the single, which strikes a nice balance between the sunlit warmth of Disco and ice Scandinavian electronics. Clock in at over eight minutes, Lanzarote feels like a journey through frozen tundra wearing Bermuda shorts and shades. Typically Scandinavian piecing synths and vintage tones are all present, but tempered with a Tropical undercurrent, the end result is fun as hell. Diskjokke, who also had a hand in the original writing of Lanzarote delivers an even spacier reMix that hits just the right synthetic Disco notes. Lanzarote is out now on Todd Terje’s label, Olsen Records. 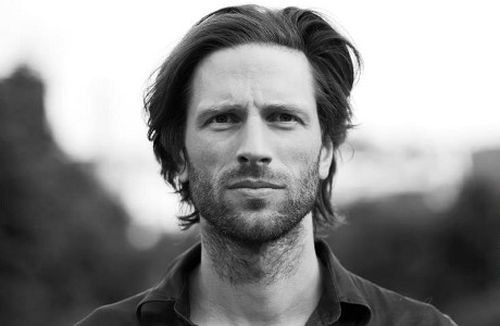 Lindstrøm – El Pais Mix = The Norwegian master has dropped a truly expertly crafted mixtape. Genre spanning and intelligently put together, you’ll find Quirky Disco, Cosmic House and ElectroPop in an involving hour long treat. Contrary to most of the world, it seem, I quite enjoyed Norwegian synth botherer Lindstrøm’s Six Cups Of Rebel. His last album from earlier this year was pretty crazy, but I thought in a good way. An ecclectic, funky, Disco cacophony that more often than not, worked. Apart from when it went all freeform jazz, then it was just hilarious. Anyway, the man is back with another new album, and Smalhans is kinda’ more what people were expecting. Epic Scandinavian space Disco. Smalhans is 50% Moroder 50% Tundra. It’s got the Norwegian quirk that against all odds always comes across in music (just ask Röyksopp, Prins Thomas and Todd Terje), it feels like a music sense of humour, or more like a sense of playfulness mixed in with sparking cosmic sounds and an Italo Disco groove. The album steps up wit the previously released Rà-Àkõ-St, which is snowy Funk at it’s finest. Like a part in an ice field, it’s both cold and mysterious and warm and inviting at the same time. Lāmm-Ęl-Āār is a popping Electronic beat, layered with retro synth work, and an enigmatic hook, but manages to pull of euphoric at the same time. The Spy Thriller riff in Lāmm-Ęl-Āār completely draws you in, and it;s attention to detail like that the dominates this album. Ęg-Gęd-Ōsis, released with Rà-Àkõ-St, is at first glace a simplistically hypnotic Disco-House track, but further listens revel complex deeper layers. Other than Rà-Àkõ-St, for us the albums highlight is Fāār-I-Kāāl, a building, optimistic four minutes of intertwining synth melodies that reminds us more than a little of the aforementioned Röyksopp. 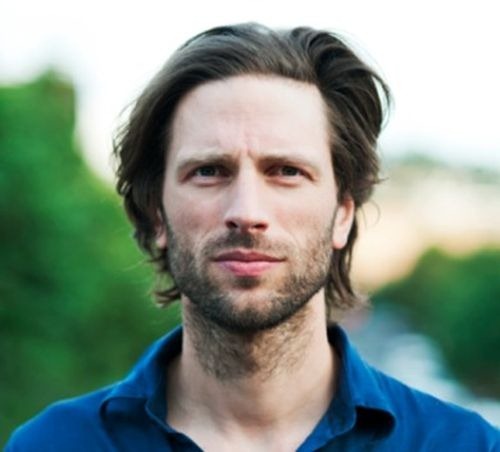 Lindstrøm’s grasp of melody, both here and throughout Smalhans is really impressive, his playing of groove of lead works in every tune to create something bigger than either. those who were disappointed with Six Cups Of Rebel will have found the album you were looking for with Samlhans, those who liked Six Cups…, you’ll love this even more. Classic sounding synthesizer Disco with a Scandinavian twist, what more could you ask for? Lindstrøm’s Smalhans is out next week via Smalltown Supersound/Feedelity.